1. A a creative conservative investment for those frustrated with low interest rates of 1-2%. An investment in the the BMO Covered Call Utilities ETF. 2. It delivers a tax-efficient monthly income from dividend paying telecommunications and pipeline dividend stocks. 3. 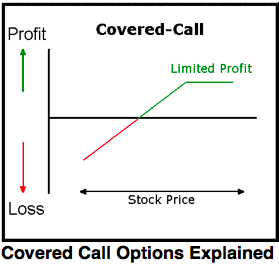 The covered call strategy provides a partial hedge against market declines as well as while increasing income. 4. Its simple. Covered call ETFs make the relatively sophisticated strategy available to individual investors. (the average person usually doesn’t have the experience or know-how to execute option strategies on their own, and most advisers aren’t licensed to sell options). How do they play it? This is a conservative investment that ideally should be held for an entire market cycle, which generally lasts 4 years. ….related: Also using option strategies the following BMO ETF below is a more aggressive and unconventional alternative that sells puts against money in T-Bills aiming to gain an annualized return of 8%. By selling out of the money puts the fund is intended to protect investors from a 10-`5% decline. That said a 20% decline in the stock market would affect the strategy negatively. ….read more: BMO ETF aims to profit from writing puts in a strategy designed to yield 8% annually. Also, Horizons Enhanced Income Gold Producers ETF uses the covered call strategy gain exposure to North American base gold mining and exploration companies while generating monthly distributions of dividend and call option income. An investment to consider in a developing bull market.